Cindy Carter, the Mendip Hills AONB Landscape Planning Officer, led an awareness raising session for Sedgemoor District Council planning officers to increase their knowledge and skills for handling applications in this nationally important landscape. Event organisers who use the Mendip Hills continue to be contacted and asked to contribute to the fund. The latest event to sign up is the Mendip Marauder, a new long distance running event. 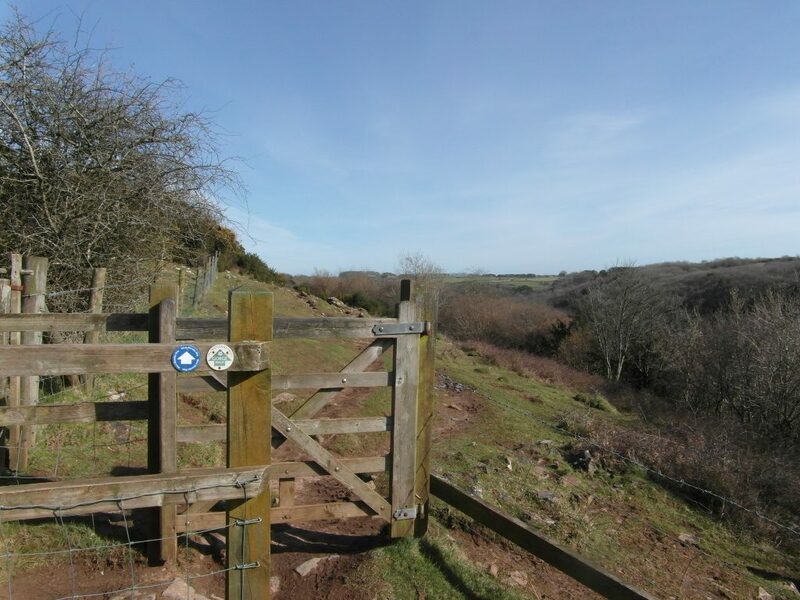 This route takes in the Mendip Way which the AONB Unit has recently improved. We have introduced four new competencies we expect our volunteer rangers to have. In January they gained Outdoor First Aid certificates and recently it was Navigation training. Nature reserves above Cheddar Gorge are now easier to access thanks to a Partnership between the AONB Unit, Somerset Wildlife Trust and Cheddar Walking. Two old stiles have been replaced with kissing gates making it easier for people. The gates were installed by AONB Unit volunteers. The AONB Unit are attending the Visit Somerset conference on supporting the rural economy through outdoor adventure based tourism. The AONB Unit has focused on building the brand of adventure around Mendip for the last few years and is looking forward to sharing their learning. Jim Hardcastle, AONB Manager is joining 40 other AONB staff from across the country as part of a Lottery funded leadership and personal development programme to ensure these special areas are looked after in way’s that meet the challenges of the current political and economic climate. Standing water is a rare habitat for wildlife on the Mendip Hills as the limestone allows water to seep through it. AONB Unit volunteers will be working to improve one of these valuable sites in East Harptree Woods, in partnership with the Forestry Commission. The West Mendip Way that is largely in the Mendip Hills AONB starts near the Bristol Channel at Uphill and climbs the Mendip Hills escarpment onto the Mendip plateau and across the top of Cheddar Gorge and down to Wells. The East Mendip Way continues from Wells to Frome passing to the north of Shepton Mallet and close to some of the limestone quarries. 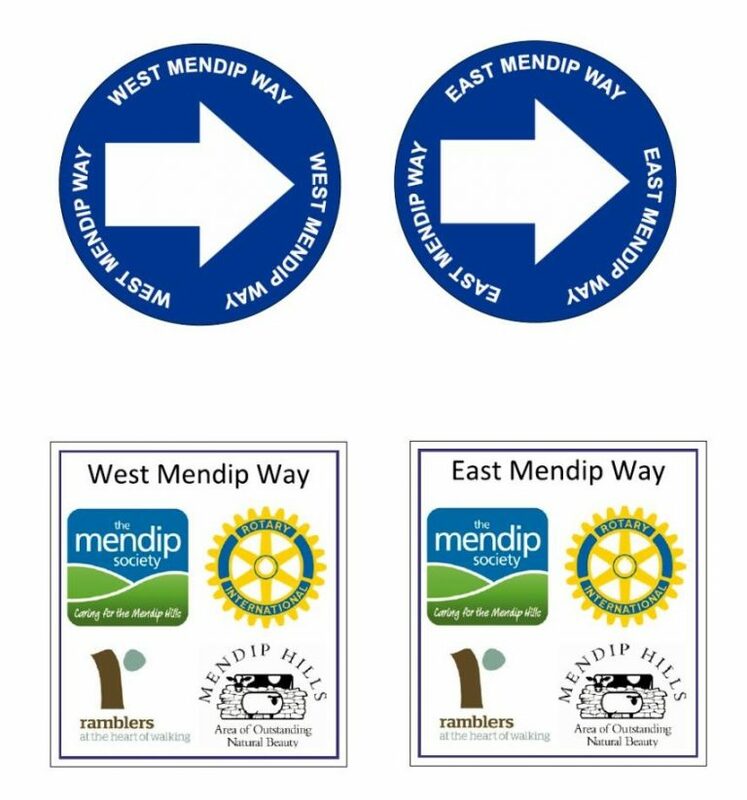 The AONB Unit is working with partnership with the Mendip Society, Rotary Club and Mendip Ramblers to enhance the Mendip Way through route improvements, improved information, signage and promotion. The whole route has been waymarked with new signs. A comprehensive route survey has been carried out identify additional signage and access furniture requirements. Full route guide with description and directions in 2 versions eastwards and westwards) have been written. GPX data has been gathered for use in downlaodable route guides. New Mendip Way pages on the AONB website including downloadable route guides and further information for visitors. Carry out further route improvements through volunteer task programmes. • Using the website to link the route to attractions, accommodation and local food providers. • Offering bespoke Mendip Way holidays offering guided walks and other activities. The eighth Mendip Rocks! festival started on 7 July and ran until the end of October. Our annual season of events celebrates the 450 million year geological history of the Mendip Hills and is provided by the AONB Unit, Somerset Earth Science Centre and The Mendip Society. This seasons 30+ events included: cave visits, guided walks, tours of working and disused quarries, arts workshops, geological field visits and much more. A total of 1200 people attended across the festival with something for all the family to get involved in. This was a three year project (2013-2016) funded by the Heritage Lottery Fund. The project was designed to raise awareness of the wildlife and archaeological value of the Black Down and Burrington Commons through activities, events and training. In recent years erosion and damage to specific features and the site in general has occurred through a combination of recreational use, sensitive site conditions and weather. The legacy of Discovering Black Down will be to ensure local community and user group volunteers continue to play an active role in the care and conservation of this area’s heritage. The project has now come to a close but the web site Discovering Black Down will remain available.